How Much Are Realtor Fees for Rentals? Finding a rental home or apartment can often feel like finding a white cat in a snowstorm: painstaking and seemingly futile. What can make that search way easier? Using the help of a Realtor®. But just how expensive are Realtor fees for rentals? We gathered insights from across the nation to explain how the system works. The exact fee varies by city. The most common amount charged by Realtors is one month’s rent, but this rate is not set in stone. In Washington, DC, for example, one real estate company reported charging anywhere from 25% to 50% of one month’s rent. A Realtor in San Diego said most agents are paid by the owner of the rental property. On the other hand, in large cities like New York and Los Angeles—where locking in the perfect rental can be a blood sport—fees are often higher and can easily surpass a month’s rent. It all depends on your location and the property you’re looking at. Sometimes you will have to pay the Realtor a commission to help you snag a home, and sometimes the landlord will pay a Realtor to fill a rental. According to Al Norton, with Unlimited Sotheby’s International Realty in Brookline, MA, the strength of the market determines who coughs up the fee. “In a landlord‘s market, where more people are looking than quality places are available, renters pay the fee,” says Norton. In a renter’s market, which is marked by an excess of inventory, a landlord pays a Realtor to find tenants. In some instances, a landlord and tenant split the fee 50-50. Once a tenant is accepted, an agent negotiates the rent amount and terms, writes the lease documents, gets them signed, and collects all funds. “Lastly, we’ll give folks their keys on moving day,” adds Norton. How can renters benefit from hiring a Realtor? Ultimately, renters pay for access to a real estate agent’s rental inventory. 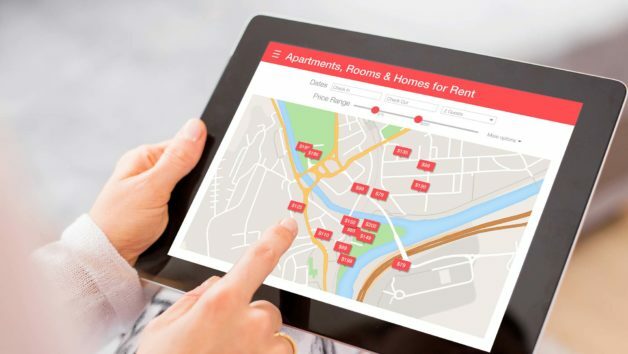 “When renters call or email in and tell us what they need, we don’t waste their time showing them places that aren’t a good fit,” says Norton. Agents know the ins and outs of their properties and can match you with a place that fits your budget, neighborhood preferences, and more. As an expert in the market, a Realtor can also negotiate a lower rent with the landlord. Whether or not you decide to hire a Realtor during your rental search, be sure you’re aware of all the fees you will be responsible for paying before signing on the dotted line. am inspired! Extremely helpful information specifically the last part 🙂 I care for such info a lot.